“It used to be that artists concentrated their energy into one large project. But Young Thug isn’t about peaks and valleys. He’s constantly recording, constantly revising himself and his artistic approach, writes @joncaramanica for @nytimes. He raps, sings, whines, cries, croons, barks, slurps, shivers, belts. He tries styles out for the space of a song, then abandons them. He’s never not producing something. The result: He’s become one of #hiphop’s most ubiquitous artists, and easily its most challenging and thrilling. 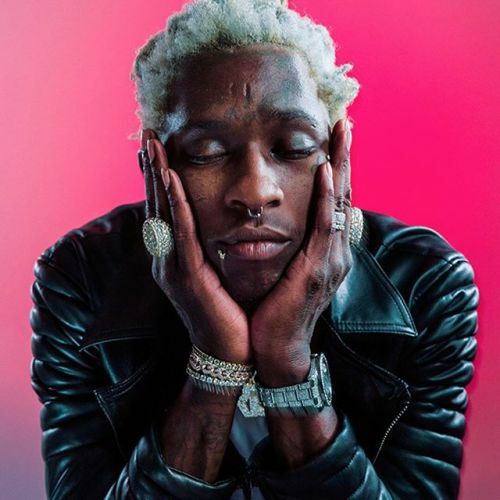 Young Thug (@thuggerthugger1) is scheduled to release his major-label debut — “Hy!£UN35,” or “HiTunes,” if you’re translating — this fall. @chadbatka photographed him in New York on #nytassignment.” By nytimes on Instagram.